OPTIMIZE YOUR SOCIAL MEDIA FOR CONVERSIONS. Connect with customers while driving word-of-mouth advertising. Why does your business need a social media presence? That’s the job of our social media team who have all the experience needed to make the most of your profiles – whatever the nature of your business. We work with you initially to ensure we understand all aspects of your business and then provide a comprehensive strategy tailored to your business needs and audience. Our social media marketing team will compose an integrated social media strategy that is custom tailored to your brand, your audience and your business goals. Our unique and creative content will help drive engagement to your overall brand. 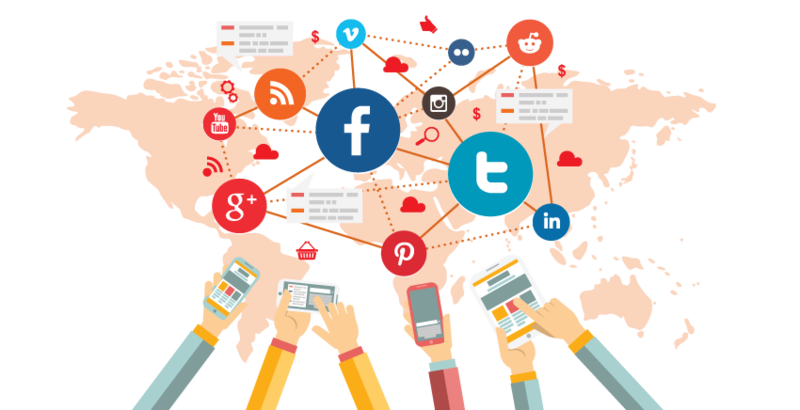 With over 2 billion active social media users around the world, Social Media Marketing is a growing and advantageous entity for any business. Our social media marketing experts design strategic and dynamic social campaigns tailored to your industry and your brand. Our team will build and monitor your online community, promote your brand, and drive real engagement on the platforms that best fit your business – whether that be Facebook, Google +, Twitter, LinkedIn, Instagram, or Pinterest.